First things first- the point of applying eyeliner is to make the lashes appear thicker and make your eyes bigger. I'm going to share with you a common mistake women make while applying their eyeliner that actually makes their eyes look smaller. As you can see, my eye in the picture above appears much larger and awake than my eye in the second picture. 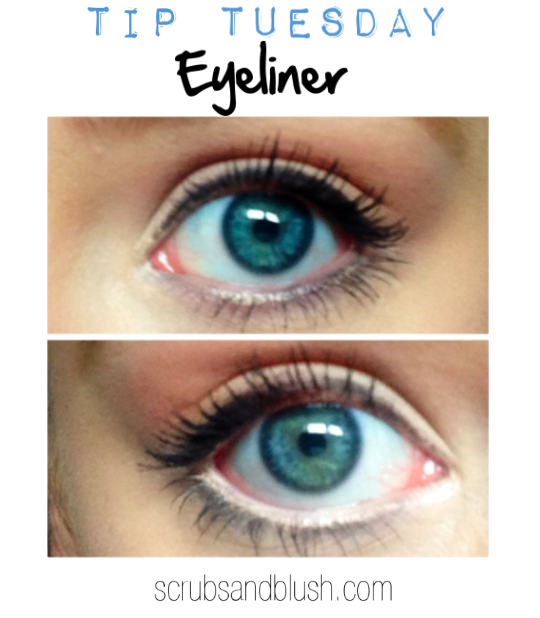 I applied my eyeliner right along my lash line versus directly on my waterline (shown on second picture). I also applied Milani Brow and Eye Pencil along the waterline to brighten up my eyes.